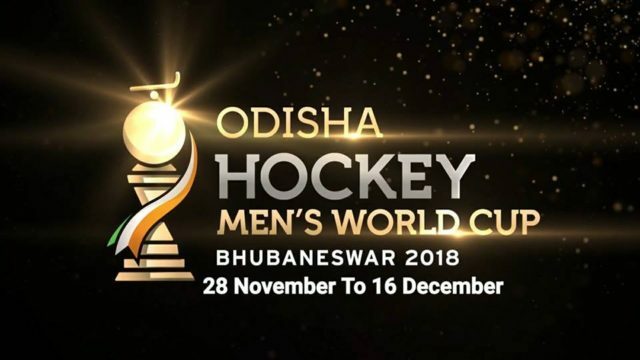 Bhubaneswar: As the historic city is gearing up for hosting its biggest ever international sporting event, the Odisha Hockey Men’s World Cup-2018 towards the end of the year, the Bhubaneswar Municipal Corporation (BMC) has finalised two agencies to take up mechanical sweeping work across major roads in the city ahead of the international hockey tournament. Both the agencies have been selected through a formal bidding process, for nearly 80 km of the city roads. The civic body will soon issue the letter of award (LOA) to the two agencies, Jharkhand-based United Air Express for Package-II for 43.5 km stretch and Punjab-based joint-venture of Pro Power Sweeping Company Pvt. Ltd and Lions Services Ltd for Package-I of nearly 37 km. The two agencies, after procuring of required machinery and signing of the contract are expected to start mechanical sweeping work in their respective allotted roads within 60 days, much before the hockey World Cup. The Package-I of 37 km includes the road stretch from KIIT Square to Jayadev Bihar Square, CRP Square to Power House Square, Stewart School Square to Delta Square, Governor House Square to Gopabandhu Square, Gopabandhu Square to Siripur Square, Gopabandhu Square to Paika Nagar Square, Delta Square to Fire Station Square, Governor House Square to Ganganagar Square, Delta Square to Ganganagar Square, Jayadev Vihar Square to Governor House Square, KIIT Square to Sikharchandi Square, Sikharchandi Square to Infosys Square, Patia Square to Infosys Square, IRC Village Ring Road (CRP Square – Ekamra Kanan – Jayadev Vihar Square), Khandagiri Square – Rasulgarh Square NH. Similarly, the Package-II includes State Museum Square to Garage Chhak, Acharya Vihar Square to Airport Square, Vani Vihar Square to Sishu Bhavan Square, New Airport Square to Airport Circle, Kalpana Square to Governor House Square, Ganganagar Square to Sishu Bhavan Square, Sishu Bhavan Square to Capital Hospital Square, Mausima Temple Square to Sishu Bhavan Square, Punama Gate Square to Badhei Banka Square, Punama Gate Square to Forest Park bus stop, Mausima Square to Badheibanka Square, Mausima Temple Square to State Museum Square, Badheibanka Square to Garage Chhak Square, Rasulgarh Square to Kalpana Square, Kalpana Square to State Museum Square, LIC Square to Ganganagar Square, Patel Marg, Madhusudan Marg, Ravindra Mandap Square to 120 Battalion Square, Nicco Park Square to Maharsi College Square, Khandagiri Square to Lingaraj Station Gate, Lingaraj Station Gate to Punama Gate Flyover, Acharya Vihar Square to Kalinga Hospital Square and Press Square to Omfed Square. As per the provisions, the operator has to start the work within 60 days after signing of the contract. It has to deploy at least two mechanical sweeping machines and shall ensure that the work of cleaning be undertaken preferably during the night hours i.e. between the hours of 10 pm and 6 am when traffic density is minimum. However, depending on the requirement the said timings can also be changed by BMC. Along with the mechanical sweeping during the night hours, manual sweeping will also be carried out in order to ensure cleaning of the major roads and the agencies would also be responsible to carry out cleaning of the construction and demolition (C&D) waste and deposit them at the respective sites near Pokhariput and Patia, besides depositing the normal waste at the temporary transit station (TTS) near Sainik School. Road survey for debris shall be carried in a mobile inspection van once in a day by the operator. The operator shall ensure removal of the waste within 6 hours after such incident has been brought to its notice. As per the scope of the work described in the tender, the operators have to ensure cleaning of signage, street furniture and statues along with the mechanical and manual sweeping work.